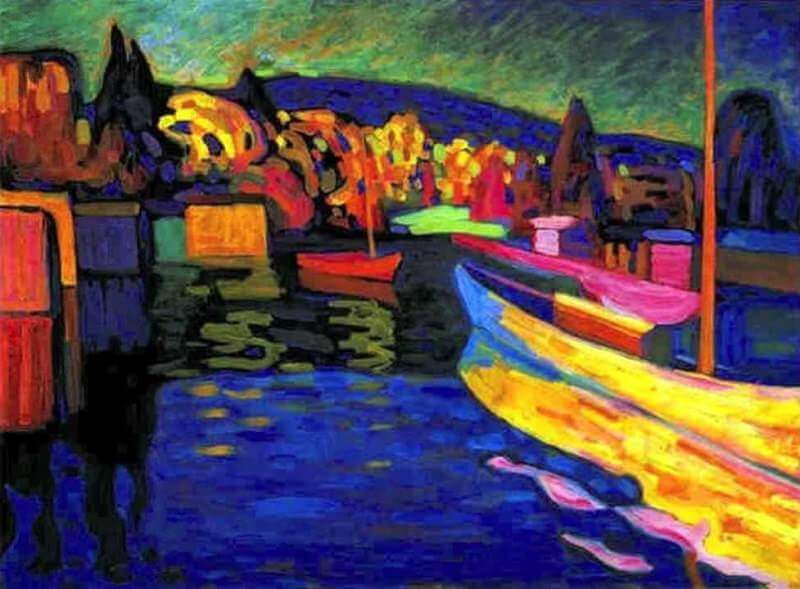 Before settling again in Bavaria, Kandinsky and his companion Gabriele Munter travelled to France where they spent just over a year at Sevres near Paris, He arrived at a time when the work of the Fauve artists, such as Henri Matisse (1869-1954), Andre Derain (1880-1954) and Maurice de Vlominck (1876-1958) was being exhibited, Kandinsky's response to the work is palpable in Autumn Landscape with Boats, His palette is now very bright, using the colours themselves to express form without the formal descriptive considerations. 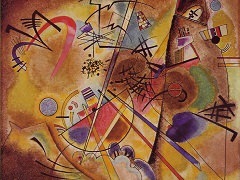 The deliberate juxtaposition of the colours, for example, the blue against the yellow, now informed Kandinsky of a new vital element that he was to formalize two gears later in his Concerning the Spiritual in Art. 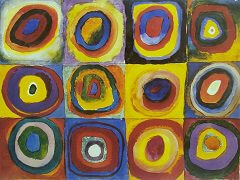 The lushness of the paint gives his work a new vibrancy, with its broad brushstrokes of simplified forms that were later to inform his Abstractions. 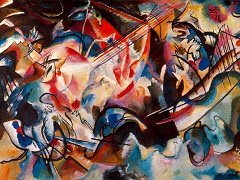 In this work Kandinsky comes closest to the Vincent van Gogh's paintings in its use of expressive colour and broad impasto paint quality. 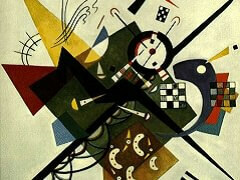 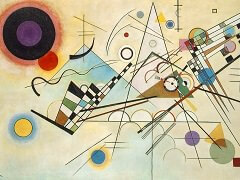 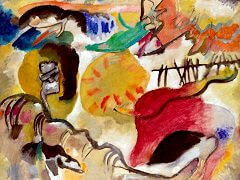 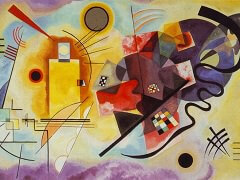 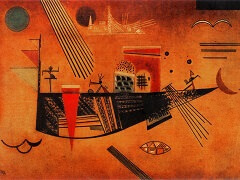 The decorative quality of Kandinsky's work, though, shows his indebtedness to Matisse.